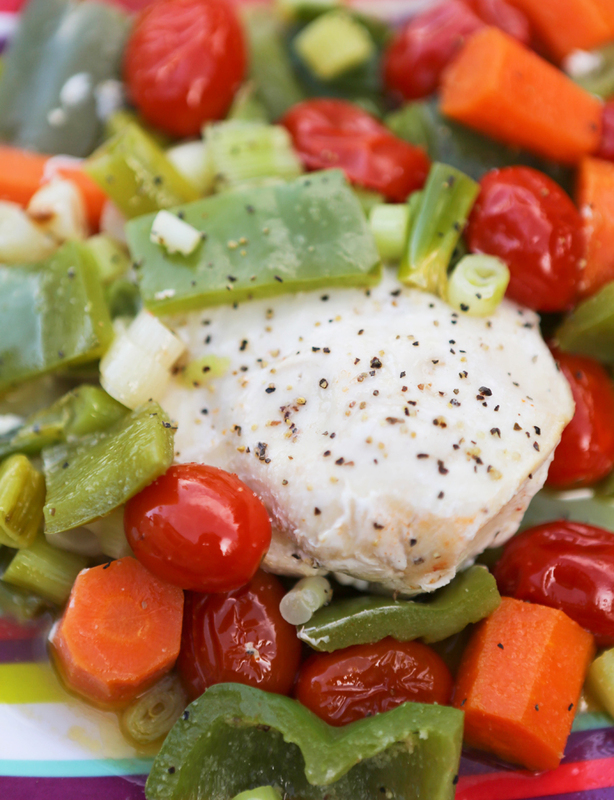 Grilled Chicken and Veggies in Foil Recipe — Pip and Ebby - easy, delicious recipes! This Whole30 Grilled Chicken and Veggies is the easiest and healthiest summer grilling recipe! Throw a few ingredients into a piece of foil and throw it on the grill. Recipe posts have been scarce since we departed on our big summer adventure. We've kinda been busy, you know, with packing and storing and moving out of one house and into another one with wheels. We've driven somewhere around 1,000 miles so far in four days and we have already seen some really cool things. We are loving living on the road! 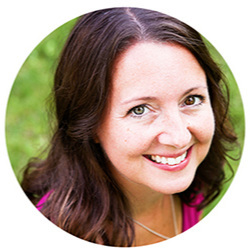 Click over to follow our travels! Easy meals are always a necessity for me, but now that we are living out of an RV they are more important than ever. I told Dan when we departed on this adventure that we would be making only the easiest of meals. 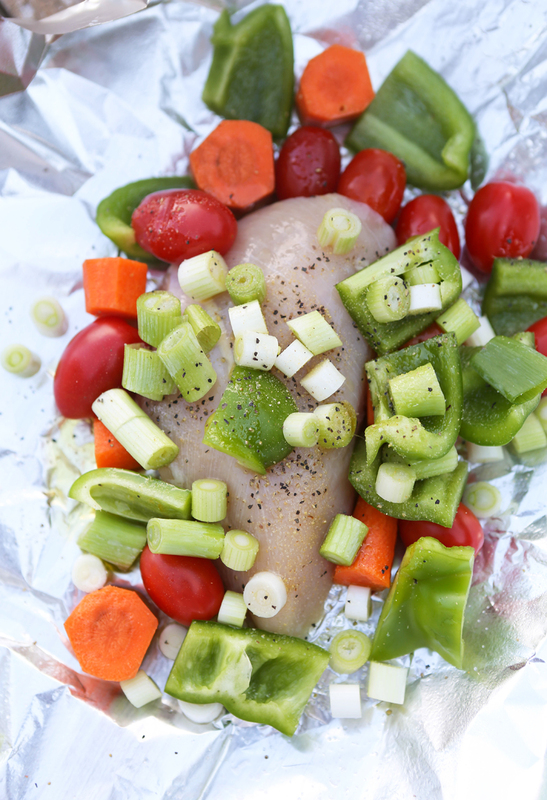 This Grilled Chicken and Veggies in foil was our first dinner on the road and it was EASY, healthy and so delicious. We'll make variations of this many more times in the next few weeks. Spray a large piece of aluminum foil with cooking spray and add to the center: 1 chicken breast and an assortment of fresh vegetables cut into bite-sized chunks. For this dinner, I put the following into each serving: 1/2 of a bell pepper, 1 carrot, 1/2 a bunch of green onions and a handful of cherry tomatoes. Drizzle olive oil over the top and add some salt and pepper. Wrap up the foil tightly and cook directly on a grill for 20 minutes, or until the meat is cooked through. I love that these can be dumped directly onto a paper plate, with no clean-up necessary. Easy peasy, friends! I hope you're all having an adventure-filled summer! Happy Fourth of July! This Whole30-compliant recipe is such an EASY, healthy and delicious summer dinner option! Light a grill over medium heat. Spray two large pieces of aluminum foil with cooking spray. Place the following into the center of each piece of aluminum foil: 1 chicken breast, 1/2 of the bell peppers, tomatoes onions and carrots. Drizzle each with olive oil and sprinkle with salt and pepper. Cinch the aluminum foil closed and cook on the lighted grill for 20 minutes, or until the chicken is cooked through. Serve immediately!